This page details hardware features which some would like to go into future phones similar to the Neo1973. Wishlist - Hardware - Novel Devices - openmoko will run on a large number of devices in the future, some of which may be DVD players, cameras, or convergance devices. Wishlist:Unlikely - Hardware that is unlikely to appear in any Openmoko device, due to it being impossible to fabricate with near-term technology, or for other reasons. Wishlist:Expansion - add-ons to the phone, maybe involving hardware changes, and software and hardware protocols to implement these. CAD models - information about the open case models and how to manipulated them yourself in order create custom casings. This page is rather long. Before adding a new idea, please read through this page and the above pages, to make sure your idea has not been suggested before. Make the battery independent from SD card and SIM card, so that battery does not have to be taken out when we only want to change either of the cards. A FPGA is a general purpose reconfigurable logic device. See Wish List - Hardware:FPGA for more details. Samsung S3C2443 Up to 533 MHz, can act as a USB 2.0 device. 128MB Dedicated for open files, running software etc., not for storage, or 256MB at all would be really nice and enough for any future software. Using RAM as a swap in unix would significantly speed up the booting process. Approx. 10MB of ram is needed only. The rest, installed software, etc. can be used from ROM sources. Enough to Hold O/S and a fair number of applications and their settings. Persistent Storage with XIP capability. About 128 MB. An internal Micro SDHC should be used for users' files and additional software. Furthermore, user should be allowed to connect to an external USB memory and use it for either a storage or OS purposes. WiMAX is a high-speed data service, similar to wifi, though longer range and newer. Where service is available, this would complement WiFi. Unfortunately, unlike wifi, frequencies vary worldwide, so global usage may be complex. In South Korea, 2.3Ghz is available for WiMAX, known as WiBro. WiMAX Forum sets heart on 2.5 GHz for global use. Two campuses of the University of California have just completed a deal with a WiMAX service provider to lease UC's ITFS/EBS spectrum to provide WiMAX in the SF Bay Area. Bidding was aggressive between Nextwave, Sprint-Nextel, and Clearwire. Other UC campuses have awarded other contracts throughout California to various of the three contenders. The point here is: these three companies are competing aggressively for spectrum in the 2.5-2.7 GHz range, and it's not limited to CA. At a National ITFS Association meeting in 2005, representatives from Intel said they would be ready to release a WiMAX chipset compatible with these frequencies in 2007, for inclusion in laptops. I assume the folks at FIC know much more about it that I do! Based on these and other clues, I think WiMAX is coming in the 2.5-2.7 GHz band in the near future... I'll be surprised if I do not see some offerings by early 2009. Long Term Evolution (LTE) is a high-speed data service, similar to WiMax, but designed to be more compatible with existing GSM systems. While Sprint & Clearwire are currently testing WiMax deployment in the US, AT&T and Verizon appear to be in preference of LTE. While the project is ongoing and general in scope, it has set itself some specific goals, many of which are oriented around upgrading UMTS to a so-called fourth generation mobile communications technology, essentially a wireless broadband Internet system with voice and other services built on top. A camera that can take reasonable quality video and pictures is something many want. Applications vary from simple snapping, to gesture interfaces, video conferencing, barcode reading, business card reading, healthcare, servicing, biometric identification, and more. Unlike stand-alone cameras, an Openmoko camera could integrate EXIF information from GPS, compass, and internet, making it far more valuable. Some people can't take cameras into work - a model without the camera, or some way of removing the camera would be useful or leave the camera chip in place and have a removable lens assembly and replacement backcover. Ability to a) cover the lens when not in use (to protect it and make it more obvious when you are NOT taking photos), and b) possible "lock" on camera use if a business is providing the phone to its employees. This way the phones are identical in hardware, making it cheaper to produce. See Alternate Cases:Camera for phone casing suggestions. See Wishlist:Camera for a more detailed wishlist. See also this page containing a link to a video demonstration. 2.8" widescreen (like in E-ten PDA/smartphones), or 3.5" widescreen (like in Fujitsu Siemens LOOX N560). 262k or 16.7M colurs for displaying images and especially videos. OLED for better contrast, more rich colours, and less energy consumption. 43mm x 57mm (2.8inch diagonal) is tiny. A 53mm x 71mm (3.5 inch diagonal) like on the TD035STEE1 would be a nice improvement. A widescreen format at about 53mm x 82.5mm instead of the 3:4 aspect ratio would be even cooler (if one could be found). The current Openmoko hardware has a screen of size 2.8" and resolution 640 x 480 (VGA). At 2.9" it is almost exactly the same size as the current screen but has a wider 800 x 480 resolution (WVGA). This is the same resolution as in the Nokia N800 web browsing devices (but those devices have a bigger, lower DPI screen). 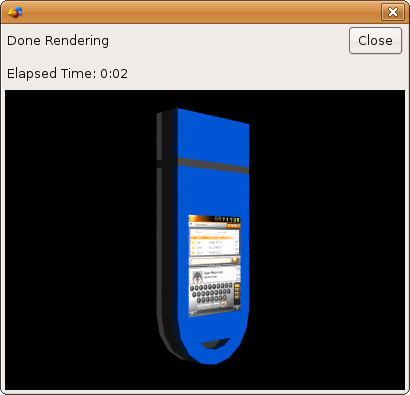 A display panel like this would enhance the phones's usability as a small computer, particularly for activities like web browsing, with an almost negligible affect on the size of the device. It would cause slightly increased battery drain though. TouchKo's (now Wacom Company Ltd.) spatial capacitive "touchscreen", can sense fingers at a small distance, so you do not get your display greasy, and can unlike some touchscreens, be operated with gloves. Hardware acceleration for video playback and 2D/3D accelleration will be present in GTA02. Or electronic paper display, EPD is used in many new devices such as the new Motorola motofone, sonys new e-reader and Irex's iliad. The technology provides thin, lightweight, power saving screens using new eink technology. This technology could cut the weight of the phone and its power usage. For more info see: eink's website. Pro: laserprinter like quality, glossy, very stable image, easy on the eyes. Electronics are similar to TFT. Very low power consumption. Con: Black and grey only (like a newspaper, but glossy), although there were already color prototypes in 2005. low framerate (5fps). Can reflect light (like paper), backlight is impossible. A 32x32 OLED display possibly on the back for camera framing or on an edge so it can be viewed like a pager. This could be used to display any number of alerts (from any installed software) the alerts could have a dynamic prioritisation which means during the work day a message from the boss has high priority but lower at home (could be GPS/Time controlled?) multiple alerts shrink the icons to a 3x3 grid higher priority messages get more space. I really like the idea of this phone BUT it misses one crucial feature - a simple keypad(like most other phones have). I'd be basicaly happy with a mobile device with a 3-4" screen with a slide out keypad(in a similar way as the n95). The Neo's basic functionality should be completely usable without a stylus, Like the iPhone but with stylus use for precision work. There should be a model that provides a Palm Treo type keyboard for messaging and internet interface. This would be best implemented in a phone casing with clamshell form factor which would give plenty of room for both button keys and screen area. Lets not just copy the iPhones onscreen data entry and make a phone that is a serious data interface device. Similar to this, except the device would be integrated into the phone itself. Setting the Neo up on a stand on a flat surface (perhaps a stand could be built into the back of the Neo itself, or into a case) would turn the Neo into a micro-laptop. There may be several issues with the inclusion of this technology, including patents, the space required to project the laser grids, and the power consumption. If possible, however, it would make text input a breeze. 2 buttons more, 3 buttons total, mounted sideways would be enough. You could use them for play/pause and loudness controll while the phone remains in your pocket (display locked, ...), reading mails, rss, ebooks,... without wasting display space and so on. With 5 buttons in total you could possibly emulate a keyboard (2^5 = 32 combinations) for those who know how to play a flute. Useable onehanded, not wasting display space and faster than t9. (It's not faster than T9 - I've used this system with the microwriter agenda --Speedevil 00:00, 2 July 2007 (CEST)) Hopefully this is not patented already. Game buttons would be best on both sides of the screen. The larger the buttons, the better. 2x 4 buttons in up-down-left-right configuration + some extra buttons separately a bit lower on the device would be good for many for emulation games. Shoulder buttons would be a great addition, too. It would be interesting if there was a total 4 of them, one for every corner. It would make the phone very flexible for rotating and 2 to 6 players playing on one device. Note : The Tapwave Zodiac Palm PDA / Game console hybrid had a similar setup - with an analog stick on the left (also used for quick selection using a radial main menu when working as a PDA), 4 buttons on the right (also configurable for shortcuts when using the device as PDA), and 2 shoulder buttons. Also it had and still has an enthusiastic scene of homebrew development (almost any console emulator for PalmOS can also take advantage of the additional buttons and graphic power of the device). 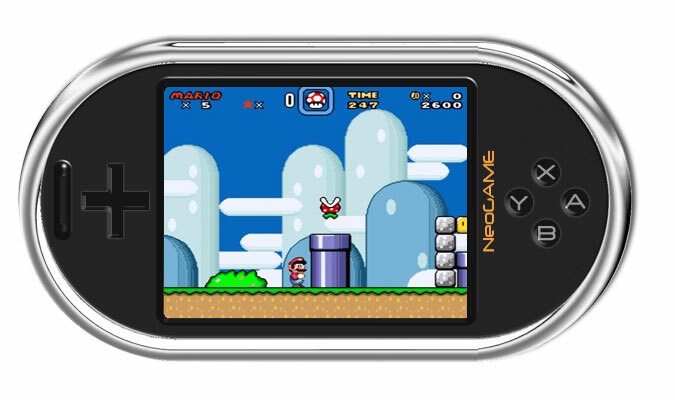 If we also take into account the success encountered by the GP32 in the past and the GP2X currently on the homebrew scene, it's not unreasonable to plan a future Openmoko device with both a SmartPhone/PDA functionnality and hand-held console targeting homebrew development. If the sensing area of the touch covered the whole front of the phone, buttons could be emulated. Palm used this to have an input area next to the screen. Could be slide out or clamshell (hinge on long side) design with an external OLED. The keyboard should be protected when not in use. Could be a clip on keyboard that attaches to the serial port or communicates by bluetooth (not preferred for permanent keyboard users). A trackball would provide an efficient mouse-like interface in a very compact package. As exemplified in the newer Blackberry® models. Maybe instead an optical sensor as are used in mice could be used so that the whole phone can be moved over a surface just like a mouse. (It could function as a Bluetooth mouse for other devices like laptop computers: see Bluetooth_Support#Acting_as_HID_device. Adding one other two-axis analogue input (possibly just the screen) would make the Neo usable as a TrackPoint or scroll-and-tilt mouse.) The same sensor might be usable as a barcode reader. A joystick, or Rollermouse-like device would provide additional control, compared with touchscreen only. A standard pointing stick (ie. TrackPoint) might serve well. As a fairly standard part, might they be quite inexpensive? Dual analogue controllers (one trackball or joystick above, one below the screen, most likely) might even be feasible. That might be overkill since the accelerometers or touchscreen can be used to provide a second analogue input. But it would be nice to have four axes of analogue control without having to tilt the screen away from you or partly cover it with your hand. Digital Television, Digital Radio or even normal analogue TV/radio is widely available in the world, though unfortunately in various different forms. In markets where one standard is widespread, and hardware is suitable, it would be a great extension of the phone to a general entertainment device for when you're away from home. Multi standard devices would be ideal, but may not be small, low-power, or cheap. A good start would be an FM tuner, since it's one of the most widely used formats of radio broadcasting in the world. This enables the phone to sense which direction 'down' is, and to sense any movements the phone makes. See Accelerometer Fundamentals for more information on accelerometers as they may be used in phones. In some cases integrated gyroscopes may also be needed. A #Digital compass can even be of more use since it gives absolute rotation so slow rotations could also be measured. A 3D compass would be nicest, but a simple 2D compass already is a helpful addition to the accelerometers. Change media player playlist when jogging vs walking. Attempt to use to stabilise any future camera. While possible in theory the time required to process the accelerometer signals would cause to much latency, as that it could effectively be used for image stabilisation. You'd have to connect the acceleromters directly to the camera circuits. Add a "touch strip" sensor onto the side of the phone which can be used to scroll. By having it on the side you can use your thumb to scroll comfortably while holding the phone one-handed. An 8-element capacitive sensor would work wonderfully and be easy to fab using either a Quantum QT411 (http://www.qprox.com/products/qslide_qt411.php) or Analog Devices AD7143 (http://www.analog.com/en/prod/0,2877,AD7143,00.html) controller. The Analog Devices chip seems better suited due to it's smaller allowable element size. With the AD7143 you can have an 8-element (128-position) 25mm long strip - Perfect!. An RF interface to receive data from popular heart rate straps (Polar, Garmin, Sigma, Suunto, etc.). This would go along well with the existing GPS functionality and possible future Accelerometer functionality to make for a full-blown workout tool. Software can be written to track heart rate along a running, cycling, skiing, swimming loop, to monitor max and min heart rate, to match heart rate data to GPS coordinates and print map data w/ relevant data. A digital compass is useful for orienting maps to the terrain and other location/direction/orientation based applications (... is 300 meter that way) when the user is standing still (regardless of GPS reception) and for following a bearing when GPS reception is poor or speed is low. Also could be used to make the accelerometer data more exact. A compass is also useful for tagging photographs with the correct direction (in addition to location) of the photo. Very small I2C sensors like Honeywell's HMC6352 2-Axis Digital Integrated Compass (6.5 x 6.5 x 1.5 mm) are very appropriate for this. Another option is the much smaller Yamaha YAS529 Three-Axis Geomagnetic Sensor IC Chip (2.0mm x 2.0mm x 1.0mm). An electronic thermometer might become handy for some users. There are very small I2C devices available, that could easily integrate to the existing bus. For example this one from ti. (Could just be cheap and use the thermometer from the battery, thats how they did it in the nokia 5140's). Also is integrated in a barometer/altimeter like the SMD500 mentioned in Wish List - Hardware - Atmospheric. A Barometer measures air pressure. This can be used to give weather information, and also as a variometer, to sense relative altitude. Variometers are commonly used in flying microlight and ultralight aircraft, to get accurate relative altitude. These are also common on high end GPS units. This is a great feature for walkers as you can tell how far you have got on any ascent/decent. See Wish List - Hardware - Atmospheric for more information. A fingerprint sensor gives easy and fast access to the phone, could lock the touchscreen etc. An example of this device can be found at Sony UX17. Most fingerprint sensors in the embedded market include a navigation mode, where they work similar to either a touch-stick or touch-pad of a laptop. Fujitsu has a small strip like reader that has SPI and USB support. though, bluetooth-enabled readers are already available. Ability to sense ambient light, and act accordingly. i.e if it's 3am and LightValue<.1 then Ring Quietly. It can be used to tune brightness of LCD automatically. Give the option of a composite sensor module consisting of pressure, humidity, temperature and light sensors(if camera not present, which is the case), which will be pluggable to the phone and connected to the USB 1.1 port. A navigation wheel like on a sony/ericsson 810i would be nice. The wheel could be mounted beside the headphone jack. In software, it would be appropriate for it to appear as a mouse wheel to applications. The wheel should also accept a press which emulates a middle mouse button click. Switch off backlight when you place the phone to your ear. Prevent accidental activation of speakerphone or other sounds when the phone is near the ear (prevent hearing damage). Possibly switch the speakerphone on or off automatically depending on if the phone is by your head or not. Automatically turning the speakerphone on/off sounds good, but to avoid disturbing others, for example in public, turning it on could be delayed so for example short looking at the display or putting it to the other ear doesn’t activate it. Additionally/alternatively the delay could be combined with/replaced by a orientation (or motion) sensor, so that it’s not activated when holding it upright, but only when it’s lying e. g. on a table. When my (current non-neophone) phone is in my pocket and I have it locked, it sometimes accidentally unlocks itself since only two keystrokes in the correct order are necessary to unlock it. When it's unlocked and still in my pocket it sometimes calls someone without my knowledge. All phones I've seen today have a press-just-one-button bypass to answer an incoming call even when the phone is locked. I suggest making the locking mechanism let the user configure it so that the user has to enter a password even for answering incoming calls. The likeliness of the phone accidentally runbbing against my car keys, hitting a ten character long password, unlocking the phone without my knowledge and consent is low enough even for us most unlucky users. Cheaper, more durable cards in a widely accepted format. Wider selection of accessories, including SDIO accessories. SDHC compatible. It seems to already have the right hardware for it - see Neo1973_Hardware#microSD-Card. A standard and/or documented internal communication bus of some sort could simplify adding new hardware modules. Documentation of Debug board connector could provide some of this functionality. I2C is used on the Neo with some details of resources already in use documented! Please see Neo I2C Devices for more information & a list of devices & the addresses currently in use & documented for the Neo1973. Standard type A socket for quick & easy insertion of memory sticks and all kind of devices. This type of connector is more robust to wear and tear compared to the type B socket which is more prone to break down. Bootable USB device emulation: the possibility to boot any computer on a bootable flagged partition of the transflash. Protection against incorrectly wired USB ports: some USB ports are wired incorrectly; if the +5V and GND are swapped, the device would get -5V when it's expecting +5V, which could burn some chips. A reverse-biased diode between +5V and GND, D+ and GND, D- and GND, and (if used) ID and GND, with a low enough forward voltage drop (to limite the negative voltages to what the chips can withstand), would protect the device by tripping the port's short circuit protection. 2 USB-Ports; one for acting as USB-host and one for acting as USB-device at same time. Wireless USB is the wireless version of USB offering data-rates up to 480 Mbit/s over short distances (<3 meter). Chipsets suitable for a phone are likely to take some time to be available. Is the blue-tooth radio present in the phone A2DP compatible. If not, make it so. Great for listening to music or watching a movie with full sound. An infrared transceiver is cheap, small, and useful for sync with many laptops and mobile phones. Replace/emulate all IR-based remote controls used for your tv, vcr, etc on your neo cell phone. replaces multiple 'dumb' devices with a single intelligent device (your neo) that you will probably carry with you at all times anyway. Command sets should be retrieved from a database or learned from other less intelligent remote control devices with macros. reduces clutter, particularly in the living room. inceases the neo's practical status as an 'always-have' device. Detecting reflections from inside of a caddy, and switching from active mode. FIR would be a nice option, as it's some 40 times faster than SIR. An alternative to this would be for one small part of the LCD to be separately backlit. This requires the CPU and LCD to be somewhat active, to keep the LCD refreshed, but gives much more information. A Small OLED Screen could be used and display much more information than a LED with minimal power usage. For example a multicolor LED which pulses yellow for GSM/GPRS transmit, blue for Bluetooth/Wifi, green to indicate non-urgent information - missed call etc, red to indicate battery low or other urgent notices. The LED and button ideas could be combined: illuminated buttons. It must be possible to completely disable the LED to save power or other personal preferences. For finding keys, or any other application. May also optionally pulse in time with ring, to make phone more visible. This is really well done in Nokia 5500. Also, Who hasn't lost their keys and opened up their cell phone to use as a flashlight? Small FM transmitter to output to car, and other nearby radios. Fix the biggest flaw in the iPod before Apple does! Infrared LED on top of device with universal remote software so you can control televisions, DVDs etc. Here is an example of universal remote software. I'd like to add that i fully support this. An IR port on future openmoko devices capable of controlling set-top boxes like TV/DVD/Stereo is necessary to make the device as universal as possible. A cellphone should be your window to the world and allow you to interact with it in as many ways as possible. Care must be taken to use the correct type of IR chipset/controller in the phone. Most IR ports you find on devices like computers, some cellphones etc. Are for high speed data communication and CAN'T control TVs/DVDplayers/Stereos etc. In order to reduce cost it maybe possible to use the sound chipset in the phone to generate the waveform sent to the IR led. IR remotes work at ~38Khz which is within the range of the sound chipset. The sound output could be internally switched between the IR led or the speakers. Here is some summary/discussion of how hearing aid compliance rules work in the US. Specifically it would be nice to see the phone include a telecoil, which allows the phone to connect wirelessly to many standard hearing aids. This technology requires cooperation from the cellular provider, but UMA/GAN is already offered by T-Mobile in the United States, and perhaps others in other countries. Allowing the user to roam from GSM to wifi, this technology can save the end user a significant amount of money, and also allow the user to deploy coverage where there was none before. There are only a few UMA capable phones currently, but it would be great if this could be made to work on a phase 2 type Openmoko device. Note that this features requires more advanced access to the GSM modem. Special messages needs to be exchanged with the network. GSM/GPRS is at best slow. An incremental improvement would be a radio with EDGE support. EDGE is an evolved GSM standard and, like GPRS, it operates on the same frequency as voice. This means a quad-band EDGE radio will have near-complete worldwide coverage. UMTS - which is widespread in Europe and being deployed in the US, HSDPA (asia) and any other mobile standards would be nice for faster data connectivity and coverage. It is unlikely that all of these will be supported initially, but it is a goal. These faster standards operate in different frequencies from GSM/GPRS/EDGE. Which frequency exactly will depend on the carrier and country. For UMTS in the US, AT&T uses 850/1900 MHz but T-Mobile will use 2100/1700 MHz for example. Until that goal is reached, it is likely that some phones will be brought out for various specific markets - Europe, Asia, US. External SIM sockets are widely available in China, a dual external socket would be a very good solution. Some networks support multiple numbers on one SIM. Unfortunately this won't allow split networks. A second/dual GSM module would allow full use of both sims at all times. As a hack, use another mobile via BT. As many as three SIM slots would be genuinely useful, especially for a 3G phone - some 3G data tariffs are only available on data-only SIMs. A user could quite reasonably have one SIM for data, once SIM for his personal voice calls, and a third SIM for his business number. Dual SIM card support will be especially welcome by the women. They just love to talk on the phone. Save the contents from several SIM-cards to memory and simulate them. A two-way walkie talkie lets you use the phone to communicate with friends without requiring a GSM connection (crowded networks at festivals, at locations with no GSM coverage). 2 way talk over Sprint/Nextel/Boost networks if possible. At least the walkie talkie feature for sure. It's very annoying being at a lake with no service and can't call your friend in the other boat across the lake. Make stripped down (and thus cheaper) version of the Neo1973 phone for use as a SIP phone. Remove GPS, GSM, accelerometers, stylus. Addition of an centimeters-precise location system RTLS would be nice, as it will allow highly sensible indoor context detection. Imagine putting the phone next to your mirror (where you shave daily) and watch it automatically switch to news radio channel. Or put it next to your bed and see it automatically switch to "sleeping" mode, when only calls from predefined numbers are accepted. See also: Alternate Neo1973 case designs for a list of cases being considered for design/manufacture by the community. Longer case (150-160mm+) with space in the top to put expansion modules, including test & hobby hardware. Would require use of a standard internal power & communications bus. Could be left empty with blank cover or house cameras, solar panels, a crank powered charger, special transmitters/recievers, or anything else imaginable. -mb make a bigger higher resolution screen and the hardware will still be the same size and the free runer bigger a in the free place make z sliding thing wich you would sell in many colour and if sb whants a camera hi can buy it in the sliding thing or he can just buy it blank for his own hard-ware this would be cool this sliding pice could have some cind of shape thet would fit and let you the most posibilities even you could make it covering some front of the phone so you could place a joystick and buttos in it. If you would need leds you would buy a blank cover drill it and it would be fine becous you wouldnt injury the mine case of the phone. Replacement fronts with e.g. extra buttons. The hole at the bottom of the phone takes a lot of space. A Kensington Security Slot could be used instead. We need something you can drop from 4 feet in to a puddle of dirty water on construction site. Sunlight readable display, maybe aluminium case. The big ugly pseudo military version. What about a casing similar to the OLPC project's in terms of dust and waterproofing? I frequently have to answer the phone with hands dripping sea water and most phone's do not take kindly to that type of treatment. Also the accelerometers can be wired to a protection mechanism which suspends all processing/data activity in case of a (free) fall. Seconded. Would get one at once. please IP68 and with rubber coating. I support this too. Might make more sense as an accessory which you can snap/peel onto your phone however? I'm eager to see a ruggedized version, maybe even floatable. +1. No point in having an excellent phone/PDA-device, if you can't take it with you where ever you may go. I think this might work as an optional accessory case design, as a previous contributor mentioned. Make a transparent, see-through casing. Why do we need a closed casing for open hardware and open software? Show the world it is a truly Free/Open source phone. That makes sense to me. I second that idea! Me, too! +1 :) i would buy one! Even though the transparent case would work too, I would like to see a blank case of pure black or white so people could have the option of air-brushing,painting or even drawing on the case. Provide a service which offers custom case design like this one, see images below. Just upload two images, reposition them in an interactive website, submit credit card information and the custom case design with application manual will be shipped to you. Since the device will be ultimately running a wide selection of software on it the battery needs to be somewhat more robust and have a longer standby time than that of current phone's. At the moment I'm using a Moto (2 days before charging) or a Samsung (3 days before charging) and am not impressed with either phone's standby time, and I'm not using the phone's for anything but calls. Having not yet seen a physical Neo device, I haven't been able to examine any of the IOs to see if there already is a dedicated power / charger input. However, I can imagine that it might be very tempting to have the device charge solely via USB. For any device that is capable of USB-host, that is a horrible idea, particularly when it's intended to be a mobile-komputing device. Since the device is able to run in USB host mode, it might be a good idea to allow for an alternate power supply, if say, a USB keyboard was being used for several hours. Rather than drain the battery, one could just supply power via the wall outlet while still providing endless hours of USB-host enjoyment for those hard-coders on the go. The main question is just deciding on where to take power from (or at all) if in USB-client mode and the power cable is inserted, but really, that's not too big of a deal and can be solved with very minimal circuitry. If 5V is detected on the power line, then the obvious place to get it from is there at any point in time. This might sound extraneous at first, but when the device shuts down in the middle of an important USB file transfer, or right before that great piece of code was saved, you can bet that those users will be saying "Hmm... a separate power adapter would have really come in handy right now". I suggest a tiny 3mm, dedicated +5V power input (something a la Nokia). With the dedicated charger it would also be possible to use any standard USB device if the phone recognized the external power and enabled 5v power when plugged in. A multi-standard satellite positioning module would be nice eventually, it does not seem to be near-term due to chipset availability problems. Galileo is the to be launched (2011) European positioning system. GLONASS is the already existing Russian one. The current GPS device seems even dependent on weather and may not work in heavy rain or snow. It seems necessary to think how to improve the reliability. The small portable GPS antena may be an option. Many PC-based media centers are being equipped with an RF (433 MHz) / X10-based remote control. The X10 protocol also facilitates home automation to control lamps, switches, etc. The advantages of using RF for control instead of Infra-red this that it also works when furniture, walls, or doors are blocking the path between RF remote and the equipment or device. Lirc supports X10-based RF remotes (but expects having an USB RF receiver attached to the media center). An enable-able tag would be of use - for example being able to use the phone to open doors, or cars. Unfortunately, it's moderately hard to do secure programmable tags that are compatible with existing systems, for obvious reasons. Say you have RFID tags on your personal belongings: cellphone, keys... Neo could be programmed to remember the last recorded GPS location before it lost contact with the respective RFIDs. It'd be trivial to check where you left your cellphone, get directions from a map...or beep when the phone gets out of RFID range. Work on the weight of the Neo1973 and following devices. At the present time the Neo1973 is just a moderate / normal business or multimedia phone. The ordinary "user" may want something lighter. Take a look at the following table, that's the Neo1973 compared with other common business or multimedia phones. To stay within physical matters: Maybe the Neo1973 is also just a normal business/multimedia phone when looking at the size. It would be great the shrink it a bit. Especially the thickness of 18.5 mm could be worked on! The Neo1973 uses a 4-conductor 2.5mm jack for stereo headphones and a microphone. A 2.5mm jack is the most common for headsets. There is an emerging convention used in the Nokia N800 and some other devices. A 4-conductor 3.5mm jack that can use a microphone with special headsets, but can also be used with off-the-shelf 3.5mm stereo headphones. Adapters to 2.5mm are of course available and this 3.5mm jack is much more robust. Neglecting space limitations, multiple sockets - 2.5mm and 3.5mm would be nice. Probably not practical in a phone. Other expanded plugs might allow remote controls. Other uses might be better met using bluetooth, or USB audio. It should be possible for the OS to see if there is something connected to the audio jacks. That would avoid the embarrasing moments when you accidently pull out the headphones from the cell/laptop and whatever you were listening blares over the place at full volume. If OS can see, that the headphones were unplugged without turning off the audio, then it could pop up a warning that would allow to direct audio to internal speakers or turn it off. If the user would replug the headphones/speakers then the warning would dissapear as well. Include a built in laser pointer. Everything is better with lasers. Make it a green one <10mW so it won't be illegal in quite a few countries. Consider selling one device with absolutely no non-free components in it, even if that means dropping the GSM support. I believe having one such device available would be good, because then it could be recommended by organizations like the FSF which typically never recommends anything if it has even a little non-free code in it. Some people want less features, because they do not need them. Leaving out some features either lets the phone get smaller or possibly enhances battery live. One big suggestion in this area is a b/w lower res display instead of the big color display. It would be nice if it was possible to charge the phone without having to connect a cable. I'd like to have a simple docking station with an inductive charger like the type that's used for electric toothbrushes . The charger itself could get its power from a standard wall-wart power supply, or it could be USB/Firewire powered. It would be very nice to be able to charge the phone outside of the electric grid (for example on hikes and boating trips). A combined solar panel and muscle empowered (rotational etc.) charger would do the trick nicely. Random thought; Why not create some merchandise toys with a small lithium battery which charge through centrifugal force allowing to recharge the phone with a small "general" connector. Solar cells from Plastic, on the reverse side of the Neo 1973 modified and introgreated in the battery backcover/flap, like an energy source when the display is in standby mode. Thats can be use also as alternate charge method's and also helps in emergency. Instead of using a counter-weighted motor to provide a vibrate function, a small solenoid could be used.It would provide more of a tap or click feel. It could be used to provide feedback when a on screen button is pressed. Different patterns of taps is a lot easier to recognize compared to different vibration frequencies. For those who know morse code they could have the phone tap out the phone number/name of the person calling/messaging or other alerts. Along the lines of add-on cards, only looking at it from a different angle, I'd like to see a "faceless" openmoko with a documented hardware interface for both communicating with it and inserting it into other devices. Even the keypad/screen/battery would be attached, openmoko itself would just be faceless sliver of hardware with a documented interface and an API for communicating with the innards. Please make it possible to run the device without a battery inserted (with the charger attached). I have several mobile phones which do not work anymore (even when attached to the charger) because the battery is worn out and new batteries are not available. I want the Openmoko to be usable when the battery is worn out. Please change the wifi chip that also can be used for sniffing wifi connection preferably the latest standard, not N. For pen testing. A wifi chips like the RT2800 I think? PLease can a an external aerial connector be added so better arials can be used useful for sniffing wifi connections for pen testing etc. This page was last modified on 6 April 2011, at 13:52. This page has been accessed 278,133 times.